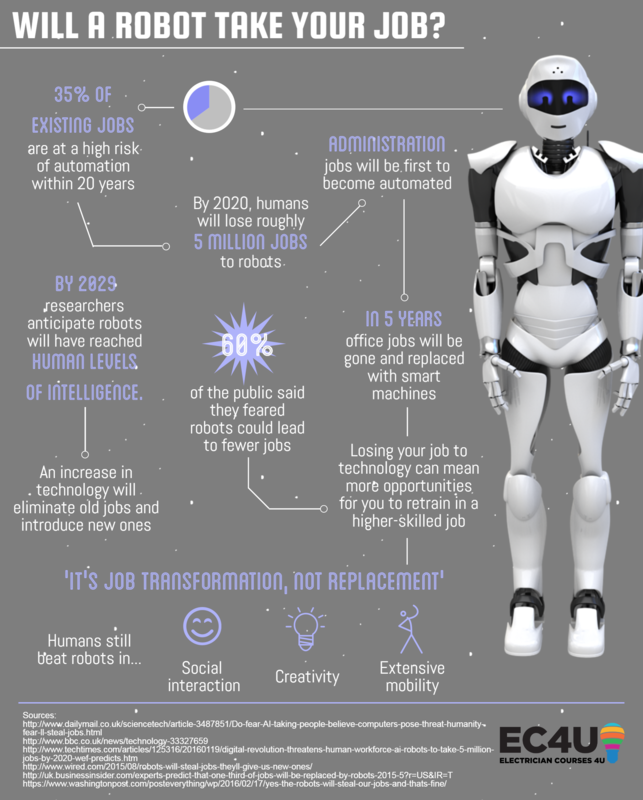 It has been estimated that by 2020, humans will lose roughly 5 million jobs to robots. Is yours one of them? If your job involves negotiating, helping and assisting others and generating original and creative ideas, then you are seen to be safe from new artificial intelligence takeovers. The jobs seen to be at risk include certain sales jobs, as well as telemarketers and bank clerks. Those jobs are seen to involve less social interaction with the public, compared to roles such as nurses, therapists and social workers, which also require a certain degree of empathy and care. With technology advancing at such a rapid rate, there is an increased risk of artificial intelligence taking over the job market and leaving some humans redundant. It’s predicted that in 15 years time, 90% of all news will be generated by machines and that in less than five years, office jobs will be a thing of the past, with smart machines replacing humans. A study from Oxford University predicted that 35% of all existing jobs in the UK are at a high risk of automation over the next 20 years. However, some jobs are considered to be safer than most. 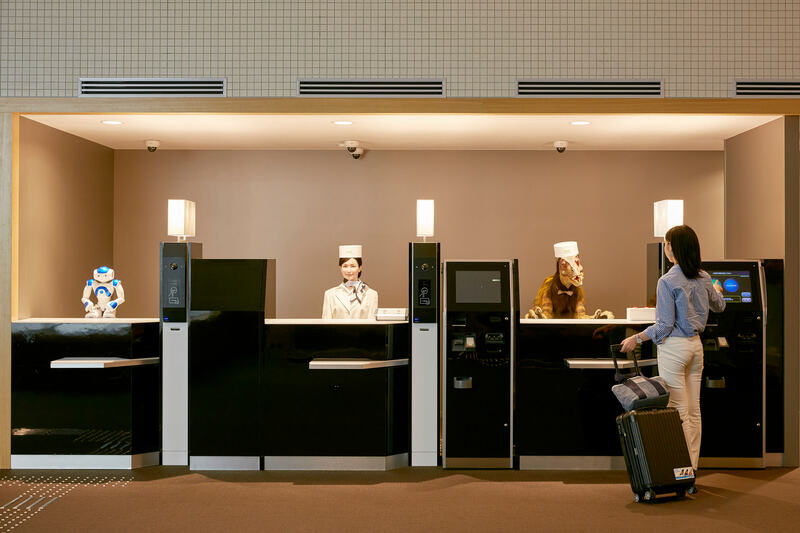 Japan has opened the world’s first ever fully automated hotel, staffed entirely by robots. Multi-lingual robots greet you as you check in, a robot can even store your luggage and take your luggage to your room! It is a novel idea that could soon spread across the globe, with efficiency and cost savings at the forefront of the hotels new innovations. Some industrial robots are so advanced, that they are able to make coordinated hand movements in order to assemble objects and ultimately carry out a wider range of complex manual tasks. Currently in Edinburgh, they are even developing two legged, human shaped robots to send to Mars to explore the surface. Administrative roles are seen to be extremely vulnerable to automation, as there are already robots generating reports, via complex algorithms, for companies and ultimately saving employee’s time. As scientists continue to predict more job losses to robots in years to come, it seems the biggest transition for some of us will be into retraining in new careers. New technology is being invented every day and artificial intelligence is only growing smarter. Hanson Robotics are currently working with IBM and Intel to utilise their technology in a new humanoid robot called Sophia. Hanson has predicted that in 20 years humanoid robots will walk among us, integrating with humans by helping us, playing with us, teaching us and even help us put away the food shopping. Humans still maintain to beat robots in social interaction (lacking the emotional intelligence for particular jobs, like medical, caretakers, teachers), creation of original content (such as scientific discovery and creative writing), and not forgetting that robots currently lack the extensive mobility that humans possess, making them physically unable to do particular jobs. In a survey, 60% of the public said they feared robots could lead to fewer jobs in the next decade. That may be true, but robots could also lead to the creation of new jobs for humans and also make some existing jobs more valuable, for example the trades, medical careers and caretakers. How do robots affect the trade industry? Manufacturing of cars has had a smooth transition into automation, but what about other manual work? The trade industry has long since been considered a fairly robust industry, as there will always be a demand for trades. There will always be a house that is being built that needs a wiring system built into it, or a burst water pipe in someone’s home that needs fixing, or a boiler replacement needed. Trades will always be relevant and in demand. Trades also have a lower risk of being taken over by artificial intelligence due to the social interaction elements, as well as the extensive skills required for the job being carried out. Problems can occur in all trades, faults can present themselves and you must be creative and able to think on your feet in an emergency. These core elements certainly help reduce the automation risk. Interested in reading more about technology advancements? Then take a look at the future of virtual reality!